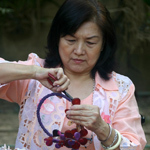 Jewelry artisan Khun Ping combines amethyst and dyed pearls for this charming floral design. 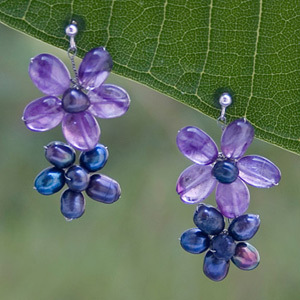 The earrings are crafted by hand on stainless steel strands and featured sterling silver posts. 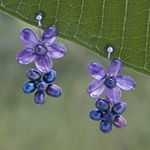 Materials: Amethyst, pearls stainless steel and sterling silver (.925).